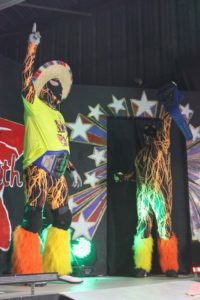 El Amigo Loco has been moving his way up the ladder in Pro Wrestling Mid South. Our crazy friend has proven to be resilient and on the fast track to superstardom. His Top Rope Elbow has gained him some impressive victories.